The same music touches us both. We like each other’s bodies. At present, our culture hugely favours the Romantic reasons – and leaves us to feel guilty and soiled around the pragmatic ones. It can be shameful to think that a major motive for marrying someone is that we find them extremely attractive. Or to recognise that if they didn’t have their present income, the pull would be far less intense. We would be unlikely to admit to a friend that we were thrilled to be cojoining our lives with someone who had hugely compatible views on how to keep a kitchen. But that is only because we are in denial about who we really are. We are, of course, creatures who delight in the union of two hearts, who long to find our feelings of melancholy and purpose reflected in the eyes of another, who have tender and vast thoughts under a star-filled sky late on Saturday nights. However, we also have our nine on Monday morning identities, when we are practical, resolute, uninclined to pathos and flights of fancy and highly appreciative of punctuality and good order. 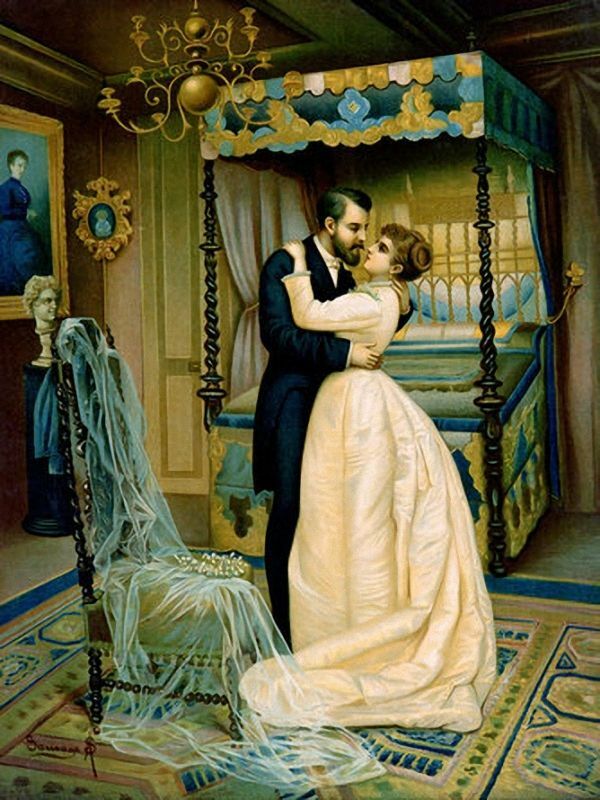 A sound marriage requires an adroit blend of romantic and practical sympathies. Much of what we are attempting to do will rely on logistical talents that support rather than undermine our romantic concerns. The point of having a bit of money is to enable us to stop thinking about it all the time. The point of an ordered house is to prevent us having to spend hours rooting at the backs of cupboards. Our lives become a lot more boring when we stubbornly refuse to pay any attention to ‘boring things’. Furthermore, agreement on pragmatic issues can sustain us when agreement on romantic ones proves elusive. It is easy to lose patience with someone’s soul, but perhaps slightly harder to lose sight of the importance of clean linen or a reassuringly administered bank account. Prosaic, materialistic thoughts are there to help us stay together while we learn to cope more maturely with the emotional conflicts which will in any case accompany us throughout our lives. A marriage is a deeply practical project. It is akin to an attempt to run a small business together, one that involves dealings with property and household management, serving meals, planning holidays, entertaining friends and raising children. If we see our partner’s organisational skills, their financial acumen or their prowess as a host as simply ‘low’, we won’t recognise the very genuine contributions these are making to our existence. It’s strategically useful to get more explicit about identifying the most pragmatic reasons why we have picked our partner – and perhaps sum these up in a (secret) list we keep in a bedside drawer. Ideally we’d return to it at points of crisis for reminders of just why we ended up choosing as we did – until such time as we succeed in the always tricky task of recovering admiration for, and connection to, our partner’s soul. What Should Go in Your Wedding Album?